Opposition leader Juan Guaidó declared himself interim president on Wednesday denying current president Nicolás Maduro’s legitimacy. Following the political and economic crisis, Venezuela is struck with, thousands of people took to the streets supporting Guaidó and were met with police brutality. During the fierce protests on Tuesday and Wednesday, 14 people have reportedly been killed. 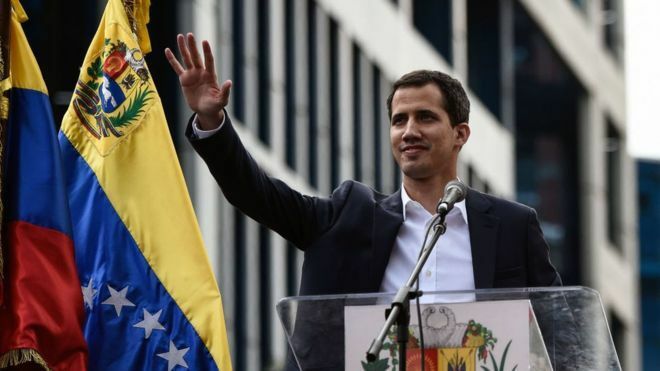 It was during these protests that Guaidó has declared himself the interim leader vowing: “I swear to formally assume the national executive powers as acting president”. He promised to take over the lead transitionally until free elections will be conducted. Maduro was officially confirmed as president following the election last May but is faced with criticism as to the validity of the outcome. The election is generally assumed to have been rigged. Guaidó also called up the Venezuelan military to turn their back on Maduro and instead support him. The military, however, stated it would stay loyal to Maduro. Only minutes after Guaidós proclamation Donald Trump recognized him as official interim leader of Venezuela adding: “The people of Venezuela have courageously spoken out against Maduro and his regime and demanded freedom and the rule of law.” Also, Brazil, Colombia, Chile, Peru, Ecuador, Argentina and Paraguay, and the EU have acknowledged Guaidó as the legitimate leader.